Microsoft’s first flagship store in North America is situated in the heart of New York City on 5th Ave. and 53rd St.—the cross streets of a vibrant and historic cultural center and internationally recognized shopping destination. Encompassing nearly half of the façade of the store is the ‘Culture Wall,’ a kinetic digital canvas. 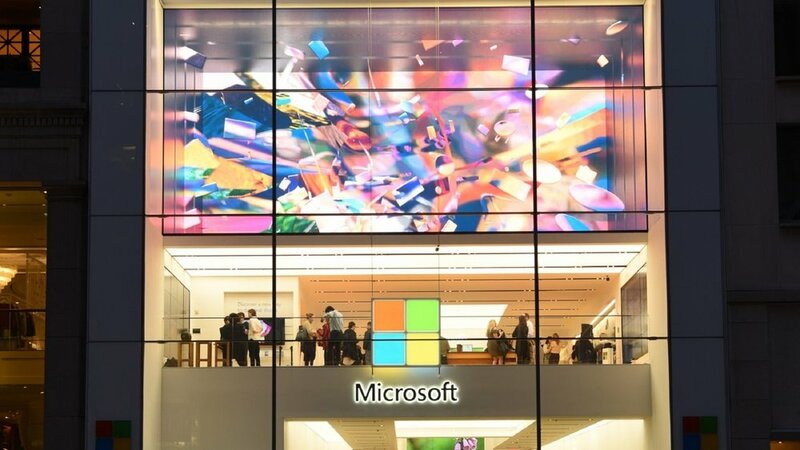 Microsoft tasked Mod Op with helping the company utilize the Culture Wall at the NYC flagship store to create an artistic reflection of what technology can bring to the community in an artistic sense. They collaborated with local artists to celebrate the individual achievements of world-class creators and to showcase the ability of technology to empower artists, cultural institutions and the community to achieve creative excellence. Digital artist Tabor Robak was the first to land his work on the wall and more local New York-area artists' work will be featured in the coming months. The result will be living, breathing, dynamic digital exhibitions that are non-commercial in nature, which underscore Microsoft’s long-standing commitment to pushing the limits of creativity and universal empowerment.